Tomorrow night I’ll be heading to Egypt for a trip with Phil Otterson, president of Abercrombie & Kent USA, and a group of 72 customers and some media. The trip has been planned since December, since before the February incident that took place in which three Korean tourists were killed by terrorists in Egypt. Some people have asked me if I had changed my plans in the wake of the incident and someone used the word “brave” in connection with the fact that I haven’t changed my plans. No one used the word “fool,” but the tone of some of their questions made it apparent that they thought going to Egypt now is highly unwise. So why am I going? First off, I don’t feel that brave. Traveling to Egypt is a calculated risk, as is traveling anywhere, as is getting up every day. I don’t discount the fact that something could happen, something unforeseen. I don’t want to tempt the fates by pretending to be exempt from the risk that applies to everyone. But it is rational to consider that risk in perspective with all the other risks one is exposed to throughout a lifetime. Consider that I live in a country where if there is a lapse in the nearly monthly mass shootings by lunatics with automatic weapons, I start to feel disoriented. It’s that odd feeling of knowing that something is missing but not being able to put your finger on what it is. Then the next one happens and you remember. The murder rate in America is a true case of American exceptionalism. According to an FBI report, 14,827 people were murdered last year in the U.S. Though the 2013 rate was down almost half from its peak of 24,526 murders in 1993, it still dwarfs most other developed countries. That’s 4.7 per 100,000 population. The comparable numbers are 0.4 in Japan, 0.8 in Germany, 1.0 in Australia, 1.1 in France and 1.2 in Britain, according to the Organization for Economic Co-operation and Development. This map shows a comparison worldwide. That 4.7 figure for the U.S. is for the whole country, including all the empty spaces and huge states that have smaller populations than major cities. If we focus on the more populated areas, the numbers go crazy. I’ve been living in the New York metropolitan area for more than 30 years. The murder rate in New York City, according to City-Data.com, fell in 2012 to a long-time low of 419 per 100,000. If the national average of 4.7 per 100,000 is many times greater than that of other developed countries, where does 419 per 100,000 fit? To show it you would have to build your bar graph 10 times higher and then New York City would be one tall bar and all the countries would be like little dots along the bottom. And yet, when I go out on the street I’m not constantly cowering and ducking and looking out for the next attack. Who thinks like that? It’s funny how we think about terrorism. When I think of terrorism, I always think of it happening somewhere else other than where I am. I can be sitting in a café in New York City — I can be at Ground Zero — and when I think of terrorism it’s still always somewhere else, not where I am. Hearing all the scary stories of terrorism can lead to a kind of paralysis of fear. The natural response to fear is to hold still. But when you consider that you are probably just as much in danger where you are as anywhere else, you might as well keep moving. But when you consider that you are probably just as much in danger where you are as anywhere else, you might as well keep moving. Egypt’s murder rate has increased during the recent period of political upheaval, but we are still talking tiny numbers compared to the U.S. It rose from 0.39 in 2006 to 1.24 in 2009, and since the beginning of the Arab Spring in 2011 has nearly tripled, according to its Ministry of the Interior. The ministry attributes the rise mostly to the rise in unemployment. And the number of deaths that resulted from some of the political clashes no doubt pushed up that number in the last two years. It is still miniscule compared to the risks of living in New York, and it still involves people who have an ongoing feud. They are not random killings and so far, other than the single incident in the Sinai, none of this turmoil has involved tourists. Most Egyptians know that tourism is the lifeblood of the country and they will do their best to support it. If tourism comes back, the crime that results from increased poverty will also subside. There are other habits of thinking worth examining. For example, after the recent incident in which tourists were killed in Egypt after months of political turmoil (during which tourists were never targeted and the violence stayed strictly between the feuding parties), many rushed to the conclusion that it meant that now tourists would be a target in Egypt. It was as if a huge gauntlet had opened and now going forward it was going to be open season on tourists in Egypt. What frightening images it brought to mind! The reasoning was that the voluntary moratorium on involving tourists in political strife in Egypt had ended, and therefore tourists had become targets. Of course that was the image the terrorists sought to foster. That’s what terrorism is. This is a reasonable concern. The line between tourists and terrorists had been breached, and it was intelligent to consider if this meant that the situation on the ground in Egypt had become too dangerous for tourists to visit anymore. St. Catherine, the pilgrimage site in Sinai from where the bus originated that was attacked on its way to Israel, is about 300 miles from Cairo, a nearly six-hour drive. An incident that takes place in Sinai may have some relevance to what goes on on the mainland, but it is nevertheless as far from Cairo as London is from Paris. Americans rarely go there. The incident led to a response by Egyptian security forces and police and so far there has been no follow-up incident. I am in daily contact with tour operators, and have the good fortune of knowing some of the best in the business. They in turn are closely in touch with their ground operations in the countries in which they conduct tours. Their businesses, their reputations and millions of dollars depend on their reliability, on the security they can provide the hundreds of thousands of people they transport around the world on an ongoing basis. 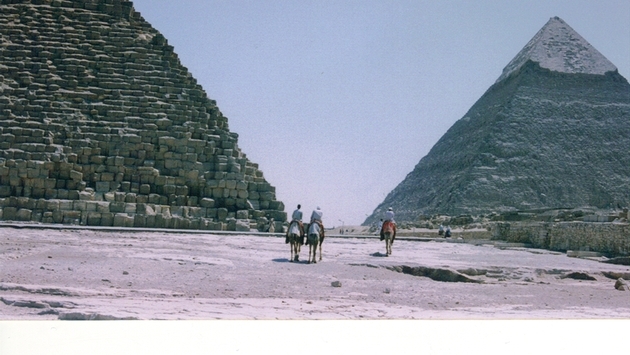 Operators of tours to Egypt would like to see that business return. Most of them can easily make up any losses in other destinations, so they don’t need to rebuild Egypt for their own economic interests. But they are people who sell tourism to Egypt and who are personally involved with Egyptians and the Egyptian tourism industry. They care about Egypt and its people and they know that nearly all of them have been hurt by the loss of tourism business. In spite of their sympathy for Egypt, however, it is not enough to cause them to put their international reputations at the risk of the damage that would be done to their credibility if any incident took place. They just are not going to take that risk. But if people are staying away from Egypt because of inflated fears of the risk, it is a tragedy for the Egyptians who are suffering economically. It is an economic depression built on a misperception. Abercrombie & Kent has offered to take a party of travel agents and media people to Egypt to show them and let them decide for themselves how much the risk stands up to the pleasures of traveling to Egypt and seeing the most massive and mysterious human artifacts on the planet. I know Abercrombie & Kent. I have heard their assessments of the risk and of the situation on the ground in Egypt. They know their business. They are not going to put it at risk by putting some of their customers and a handful of media eyes and ears in harm’s way. I am sure they have taken every precaution possible and are working closely with the Egyptian authorities, who are likewise determined to keep the tourists safe. I am confident to travel with them. I do not feel endangered. No one can eliminate risk entirely. Who could have predicted the disappearance of the Malaysia Airlines flight last week? But you can tell yourself you are safe on your couch and then fall prey to some other disaster. It happens every day. In any case, I can't say I relish the idea of withering away in a care home for the elderly. Time is short. That's the point of the bucket list. And Egypt must surely be on everyone's bucket list. As Neitzsche said, "The secret of the greatest fruitfulness and enjoyment of existence is to live dangerously!" Time to get a move on!